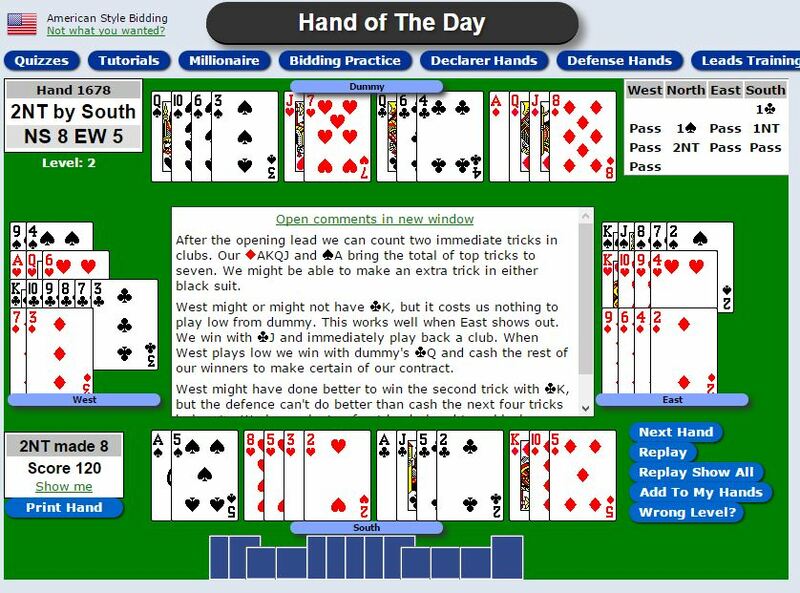 If you are learning to play bridge it is helpful to find some bridge hands to play online. At No Fear Bridge you will find hundreds of bridge hands to play, covering a wide range of topics. Some hands allow you to play the whole hand and then show you what you have scored. You are then given advice on the best way to play the hand. Some hands are set up as tutorials where you choose which card to play, or which bid to make and you are then given feedback on wrong answers. Each day you will find two “hands of the day” to play – an easier one and a harder one. You will also find a defence hand, helping you to learn the essential skill of defending. For advancers there are also two hands of the day – one for practising declarer play and one for practising defence play. 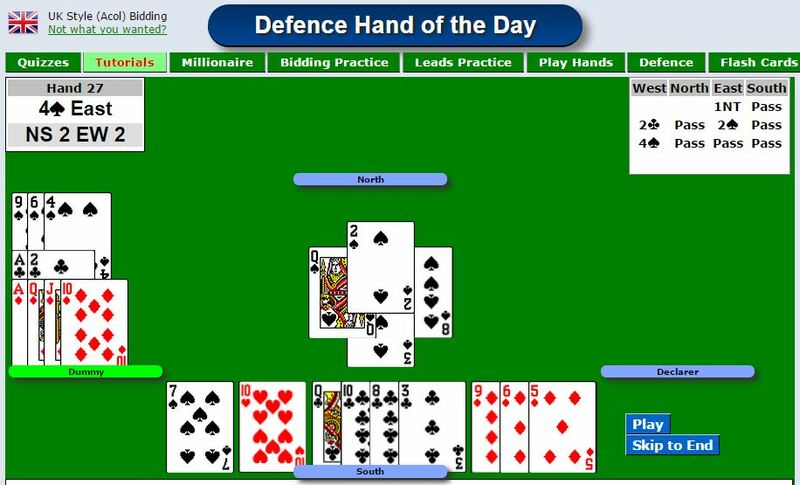 Here is a sample defence hand of the day from No Fear Bridge UK – for Acol bridge players.